LEICESTER surprised plenty of people by taking mighty Manchester City all the way to penalties in their Carabao Cup quarter-final, although the Foxes ultimately bowed out on penalties just like they did last season. What raised even more eyebrows was the fact Claude Puel's side managed it while resting most of their big hitters, with the likes of Kasper Schmeichel and Jamie Vardy sitting it out while James Maddison started on the bench. 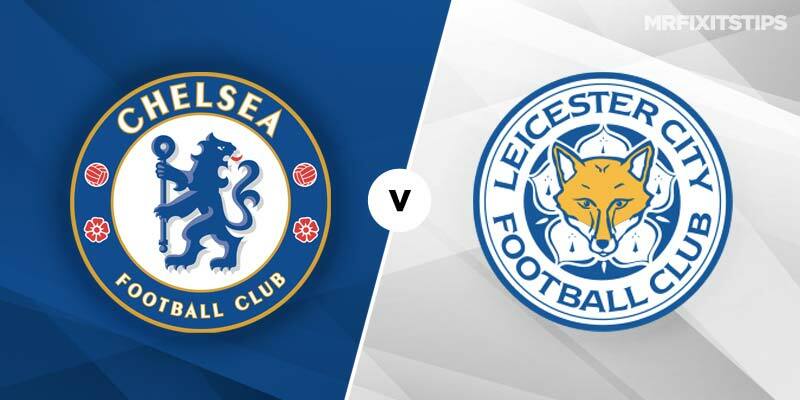 That means Leicester City should be relatively fresh when they take on a Chelsea side that will also be vastly different to the one that ran out in midweek on Carabao Cup duty. It was talisman Eden Hazard who took the Blues through to the semis by grabbing the winner against Bournemouth but the Belgian started on the bench and was only thrown on when Maurizio Sarri needed some inspiration. Hazard will return to the starting line up along with the likes of N'Golo Kante, Marcos Alonso, Jorginho and Pedro as Chelsea bid to stay in touch with Premier League pace-setters Liverpool and Manchester City. The Stamford Bridge side remain unbeaten at home under former Napoli boss Sarri and it would be a major shock if the Foxes ended that run here. 888 Sport make Leicester City 19/2 outsiders for a win in London while Chelsea are 8/25 and the draw 17/4. Sarri's side have been rock solid at home, keeping clean sheets in their last five games at Stamford Bridge and even shutting out free-scoring Manchester City. So it's well worth backing Chelsea to win without conceding at 27/25 with 888 Sport. But the Blues haven't exactly been free-scoring, especially with Hazard potentially playing as a false nine if Olivier Giroud is left on the bench and Alvaro Morata remains out injured. They haven't scored more than twice on domestic duty since beating Crystal Palace 3-1 at the start of November and it may be a similar story here. Under 2.5 match goals is available at 5/4 with 888 Sport so that looks a decent shout and if you're thinking of punting on a correct score then 2-0 to Chelsea is tempting at 27/5. Spanish winger Pedro has been in good scoring form this season and may make the difference here. He's 24/5 to break the deadlock and 8/5 for anytime scorer which looks great value.